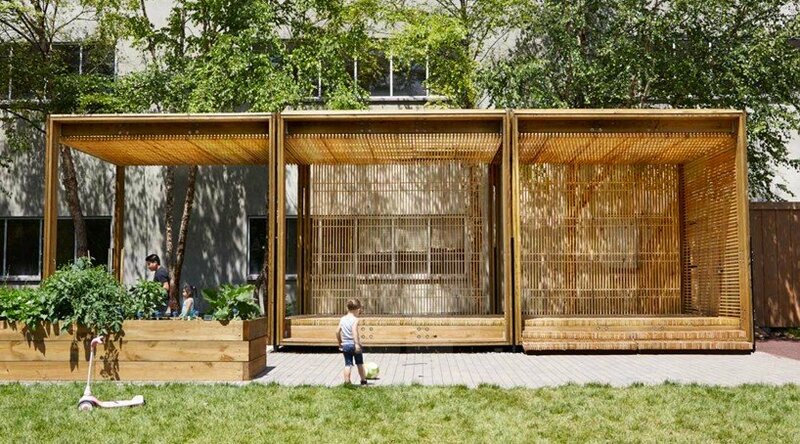 The simple modular timber design of the casita fits right in with the organic nature of outdoor gardens. 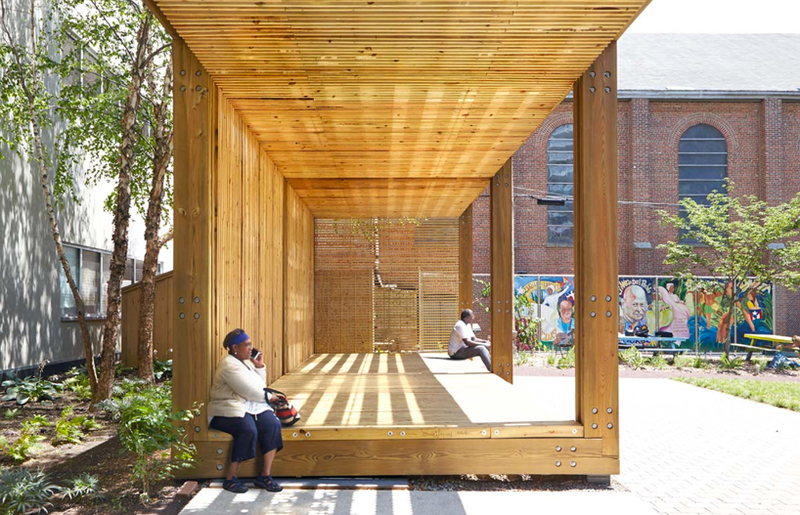 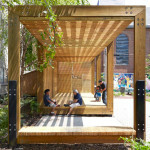 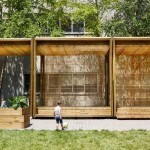 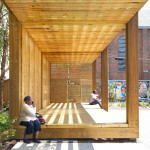 Its simplicity also renders it cost-efficient and easy to construct, according to the NYRP. 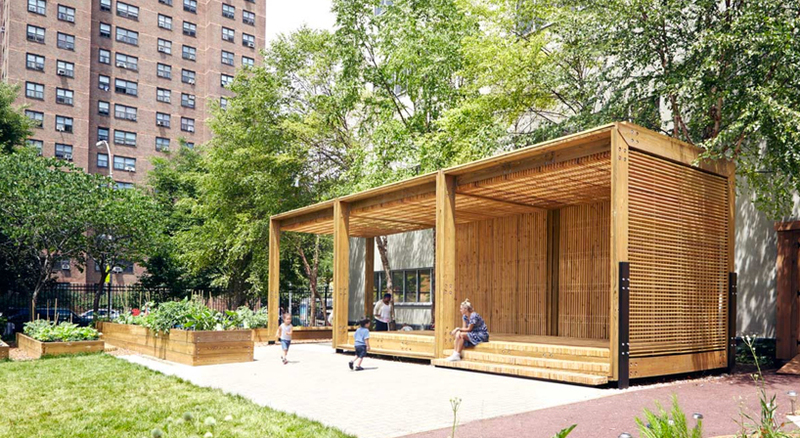 In the future, Ten Arquitectos seeks to re-outfit the casitas with solar panels and WiFi and make them able to function off the grid if the need ever arises. 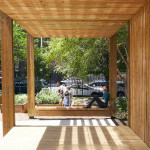 Ten Arquitectos, whose mission is to develop projects that address social, environmental, political and financial responsibility, are also involved in other green projects around the city, such as the future BAM South tower at 286 Ashland Place in Downtown Brooklyn, which will have an attractive public space at the base of the tower equipped with flowerbeds and grasses. 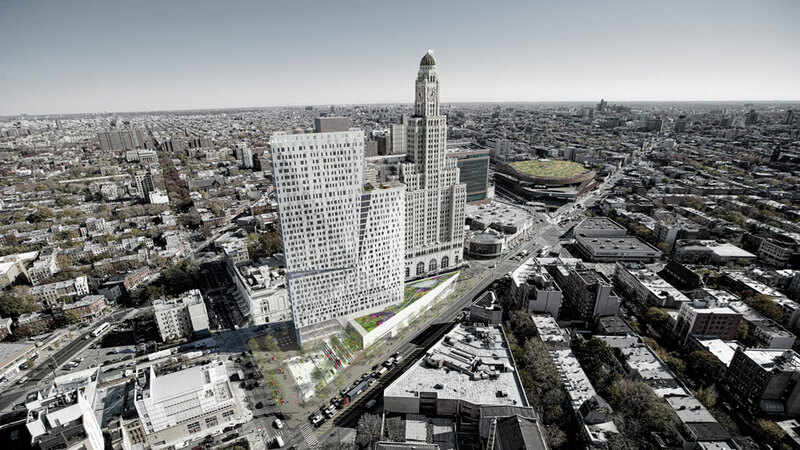 They’re also working on the three residential towers atop the roof of the East River Plaza mall on 116th Street in East Harlem. 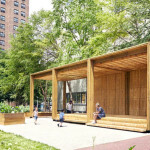 While a public green space will be included in this project, the construction faces some contention from local residents.